12 GEORGE ST, HASTINGS, TN34 3EG. Come in to eat and drink in a friendly and warm atmosphere located in the heart of Hastings’ historic Old Town! 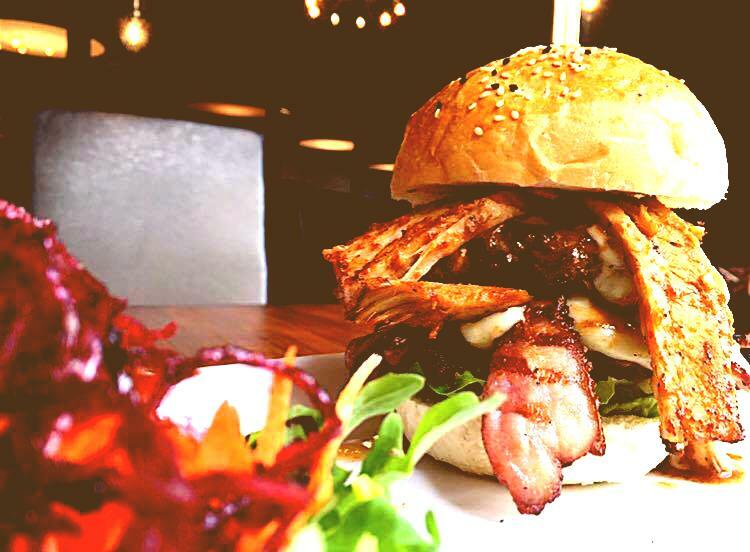 From gourmet Burgers to slow cooked Meats & local Fish, there’s something for everyone! Delicious Cocktails freshly prepared by our dedicated bar team, made only from the finest ingredients! Wide range of amazing craft Beers & outstanding selected Wines! or call to enquire about booking us for a private function! The Market Building has been around since 1833; Prince George of Cumberland laid the foundation stone whilst visiting the town with his father, the Duke of Cumberland. It was intended to be the town’s Fish market, replacing the open-air one on the beach, but fisher-folk strongly opposed this. Over the years the building has accommodated many businesses… today it is known as The Old Market. We are proud to run a food and drink based establishment in this building, offering high quality fresh, local produce. Today you can find amazing food & drink ranging .